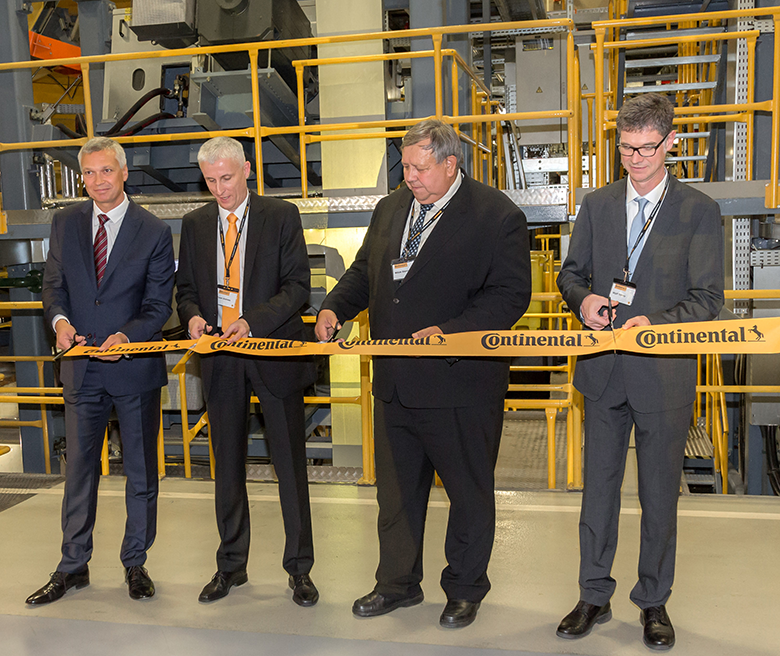 Otrokovice, October 12, 2016 – Yesterday, the worldwide premium tire manufacturer and technology company Continental inaugurated a newly reconstructed truck tire production hall in its manufacturing facility in Otrokovice, Czech Republic. The reconstruction project was the biggest investment of the Continental Corporation in Otrokovice tire plant in the last three years, amounting to around €165 million (4,4 billion CZK), and creating 130 new jobs. The inauguration of the new manufacturing building was attended by Stanislav Mišák, hetman of Region Zlin, as well as business partners, suppliers, representatives of regional and local statutory authorities and journalists. The opening ceremony also brought together representatives of the top management of Continental Corporation Mr. Andreas Esser, Head of Commercial Vehicle Tires, Constantin Batsch, Vice President Region Truck Tires EMEA, Thierry Wipff, Head of Manufacturing CVT & Engineering Tires, and many others. The CVT management outlined the strategic development of the production of truck, bus and specialty tires in the coming years in Otrokovice. “Today we are celebrating the finalization of a three-year project, a strategic step focusing on long-term market growth of Continental’s Commercial Vehicle Tires business unit. 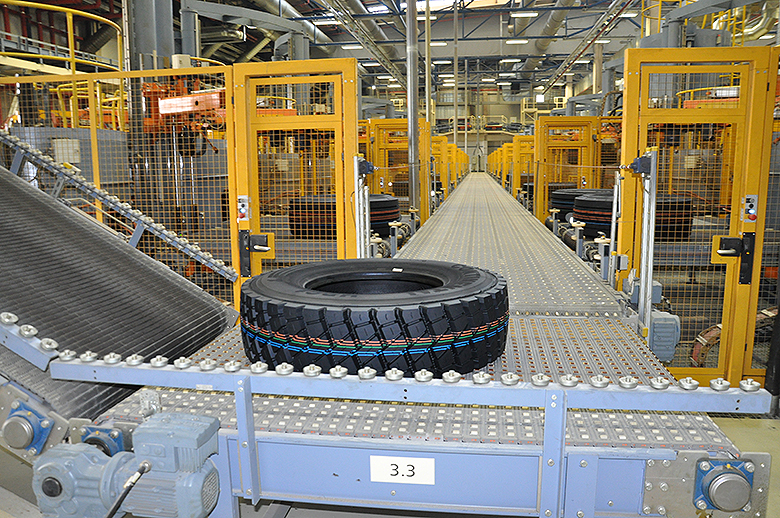 As the largest tire plant worldwide, Otrokovice plays a special role in our manufacturing landscape. 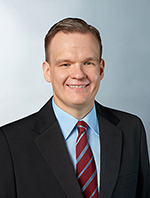 With this investment, the plant has developed into a production hub for America as well as for the emerging markets in Asia Pacific”, said Andreas Esser, Head of Commercial Vehicle Tires. “Here in Otrokovice we have implemented state of the art manufacturing processes as well as sophisticated technologies. Once again, I am impressed with the great achievements of the Otrokovice plant team in this project. Despite the high level of complexity, the plant team showed us yet again that we can rely on their expertise, their team spirit and their passion to win. Therefore, I would like to extend my sincere gratitude to all those involved in the project”, added Thierry Wipff, Head of Manufacturing CVT & Engineering Tires. In 2015, Continental Barum produced 21.1 million units of passenger tires, 919,000 units of truck tires and 119,000 units of industrial tires. This year, one million units in truck tire production will be surpassed. In comparison to 2005, production has increased almost threefold. This production increase was driven by a project supporting the manufacture of 22.5” tires and mostly by production in the new hall.